With MuleSoft, Salesforce goes beyond CRM into the heart of digital transformation and artificial intelligence. Salesforce is buying MuleSoft, its largest acquisition to date, in a deal valued at a whopping $6.5 billion. The purchase of MuleSoft, which gathers data buried in an enterprise, ushers in an era of expansion for both Salesforce and channel partners. The deal casts a white-hot spotlight on data, the new currency in the digital economy. Corralling data has become the biggest challenge in digital-transformation efforts. Data is also the key to unleashing disruptive technologies, such as artificial intelligence (AI). Salesforce expects the deal to close during its second fiscal quarter. San Francisco-based MuleSoft, which went public a year ago, raising $221 million, posted nearly $300 million in revenue last year. The company boasts more than 1,200 customers, including Coca-Cola, Unilever, Barclays, Mount Sinai, VMware, GE, AT&T and Cisco. Some are mainstay SAP customers, which has led analysts to speculate that the acquisition is a play against SAP. Salesforce says MuleSoft will fortify its new Salesforce Integration Cloud in a fast-growing market. “MuleSoft addresses a $25-$30 billion market that’s growing at 25 percent,” Block says. Data also powers Salesforce’s cornerstone AI offering, called Einstein, which is built into the Salesforce platform. By solving the problem of disparate data plaguing many industries, especially health care, and pulling data from other major sources – such as ERP – into its ecosystem, Salesforce can improve Einstein’s performance. The MuleSoft acquisition also helps Salesforce break out of its CRM box. Salesforce has set its sights on $60 billion in revenue by 2034, but CRM doesn’t have that kind of growth curve, says Jay McBain, principal analyst at Forrester. Salesforce needs to be a bigger part of the stack. But is this good news for channel partners? A big piece of MuleSoft’s business is on premises, where MuleSoft competes with in-house developers and traditional enterprise application integration software vendors, such as Tibco and Oracle. For channel partners still wearing Salesforce’s “no software” button, this all might seem a little strange. Nevertheless, once the dust settles from the acquisition, Jitterbit’s chief strategy officer, Simon Peel, suspects Salesforce’s top-tier partners, such as IBM’s Bluewolf and Accenture, will be walking MuleSoft into large corporate accounts. “We’ll have some competition there,” he says. For smaller Salesforce channel partners, it’s business as usual — or better. McBain says the MuleSoft acquisition gets Salesforce beyond CRM and into the heart of digital transformation. 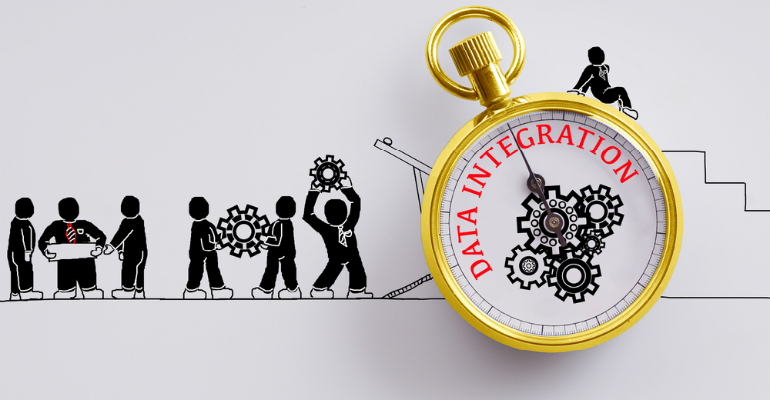 Simply put, data integration touches every business application, every mobile and IoT device, every AI project. “The interconnects that come out of this acquisition are incredible,” he says. Channel partners can ride this expansion.